A mandatory age of retirement at 75 for all bishops and above allowing them Emeritus status. All new bishops, except the Chicago Diocese Bishop, should be replaced. It’s time to pass the Bible and elect from the pool of the many spiritually gifted, young, available, qualified and eager-to-serve priests who have the social and technical savvy and worldly talents necessary to successfully direct a diocese. No more “good ole guy” elections sponsored by monetary contributions. The new archbishop and all new bishops should be required to initiate five and 10-year growth plans placing an end to conducting the affairs of their respective offices by the seat of their pants. The laity of each diocese will have a vital and important role in the organization and implementation of these plans once they are approved by each Diocesan Council and the Archdiocesan Council. Our Orthodox religion should recognize that we are living yet surviving in turbulent times. Just being alive is a revelation and a gift–think of it! It is time to bring Christ back to the present age and center of Orthodoxy in our sermons. Wonders and miracles are happening around us daily. Let us acknowledge that Christ is here today, is working within us and will never abandon those who walk in His faith. This even as we revere our early church Fathers, Saints, Apostles and faithful forbearers. Our church, and I say this reverently, looks to the past for delivery of messages to our faithful, which may account for the loss of believers in whom we have long fostered and nourished through Greek language school, Sunday school, Goya and team sports. Our people young and old are generally skimpy on Bible passages. I suggest it is these current teaching methods which need revision and change at Holy Cross and Church Schools. 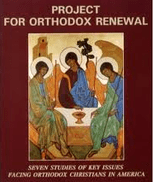 Once the new archbishop, new diocese bishops (except Chicago) and a new Archdiocesan Council are installed, as soon as expediently possible, the archbishop should call for a synodal meeting of all Orthodox bishops for the specific purpose of discussion and implementation of the union of all Orthodox ethnic jurisdictions in American to unite. An agreed upon plan of, say, 10 years, would allow the church as a whole to carefully counsel and prepare its parishioners and to advise their overseas religious leaders. Those city areas that have up to six bishops, these religious people should be reassigned and sent to other cities as we can better blanket America with firmly grounded Orthodoxy. This is a simple statement of an extremely complex matter, yet an important scrawl on uniting Orthodoxy in America. One can only pray that it could be initiated during our lifetime. Under the uniting plan, all bishops would be reassigned to other cities. This would help unite our ethnic diversity. No more Greek, Romanian, Bulgarian, etc. bishops preaching to their own ethnic faithful. No more bishops and priests occupying their positions some 30 to 40 years, becoming more like actors stale in their preaching and catering to their supporters and yes- men and women. Think how salvific it would be to be among those privileged to hear the Word of God from bishops and priests of diverse ethnic and experiential backgrounds. Let us unlock the huge number of religious treatises, books, papers and sermons available to the faithful of all jurisdictional brothers. Let’s make an effort to translate these wonderful religious works into English so that all Orthodox people can enjoy, be inspired and enlivened by our monks and bishops throughout history. For your information, dear reader, St. Louis University is a repository of a duplication of the Vatican library books and manuscripts. These papers are a valuable trove of religious history of the Catholic Church and including, where it applies, of when the two churches were one. 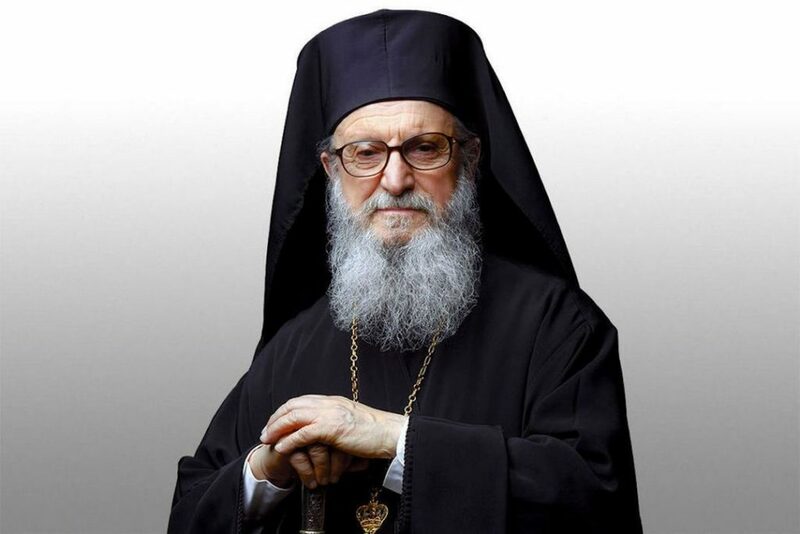 It is difficult to forecast the kind of government that will rule Turkey, present and in the future, when it can unleash hooligans to ransack our churches, its multinational Christian people and the main depository of our Orthodox church history on Halki. That is why we should strive to record and duplicate these critical and religious papers in a safe place, perhaps at Holy Cross Seminary. This move, though expensive, would allow seminary students of Christianity access to the tomes that helped build our Orthodox faith. Let us be honest with ourselves. Greek and the many ethnic languages used in Orthodox services has helped and served our wonderful parents and grandparents well. But today, the use of these languages stands as one of the many barriers to the faithful and must be curtailed or eliminated entirely in favor of the English language of our nation. 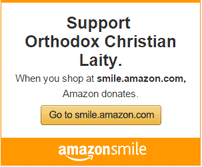 If, as we believe, Orthodox Christianity is a world class religion, then let’s act like it and mean it. How else are we able to encourage and seek the lapsed, minimal Orthodox and the unchurched to join us in worshipping Christ? I ingloriously offer these proposals for your review. The current Ecclesiastical Administration and the feeble Archdiocesan Council are bereft of ideas and programs to rejuvenate or bring our moribund church to life. It’s past time for His Eminence to resign so that we faithful can begin building the church anew. Please know that this message is submitted with love and respect for our parish priests who are the sturdy anchors of our faith. Your comments are gratefully accepted. Lord Jesus, if I have offended anyone, please forgive me.